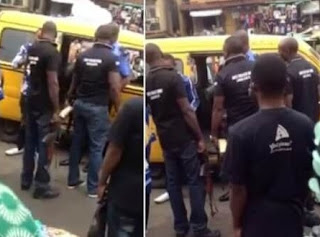 An abused man has given a fix looking for SARS officer the beating for his life in Lagos. The episode happened, yesterday, at Ikosi, Ketu. As indicated by reports, the man was driving a Jeep and was ceased by the officers, for seeking. He instantly obliged and nothing was found on him. Nonetheless, the officers demanded that he should tail them to their station and needed to cuff him, yet the man declined and said he had done nothing incorrectly. By then, one of the officers said he should "settle" them. Again the driver said he wouldn't and that was the point at which they began hassling him and tore his fabric. Infuriated by their tricks, the casualty got hold of one of them and beat him up. They in the end let him go, after bystanders' mediation.